With a color palette of cool grays both indoors and out, the home features an open floor plan that is comfortable for the owners, and welcoming for large groups of guests. 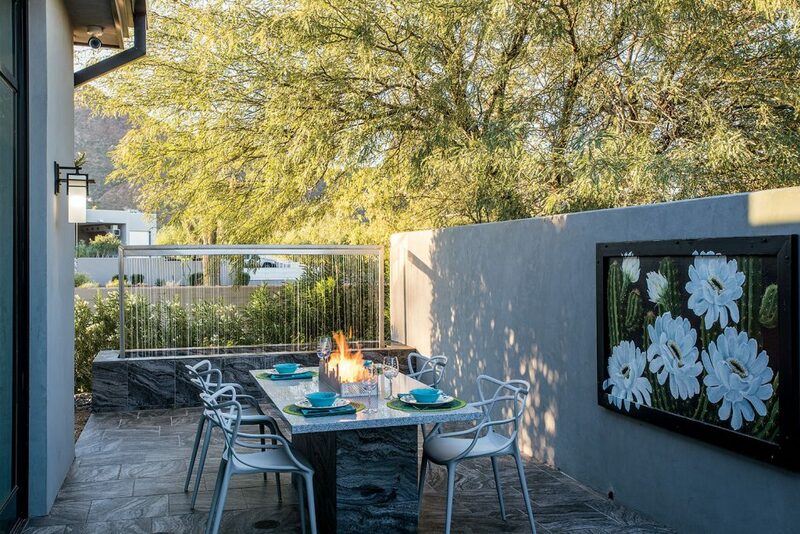 Hand-painted panels brighten the patio and bring a touch of desert flora indoors. 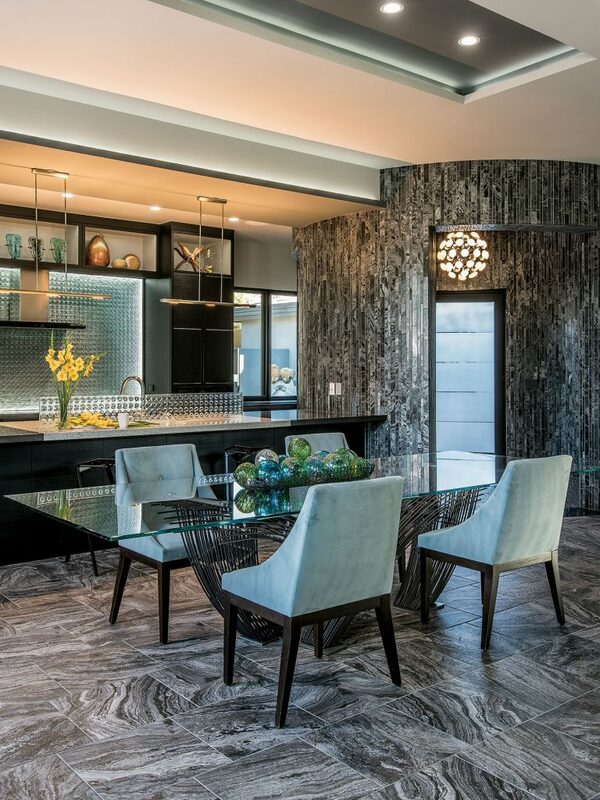 A modern Paradise Valley home embodies sleek understated design. 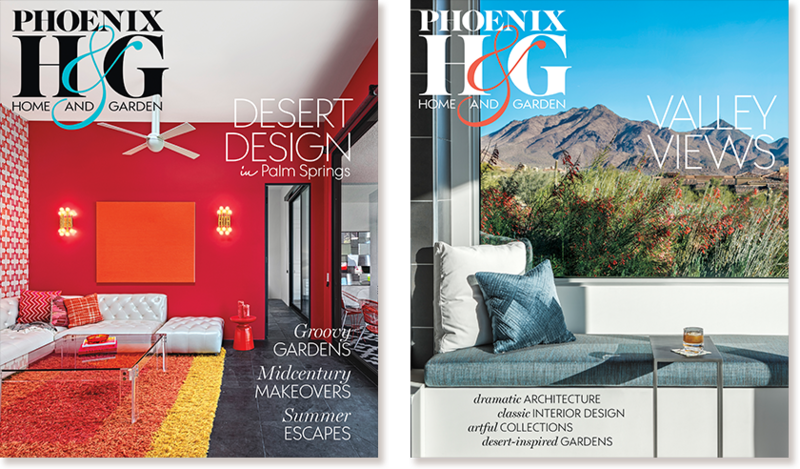 For a Scottsdale husband and wife, transforming “fixer-uppers” has become somewhat of a hobby. 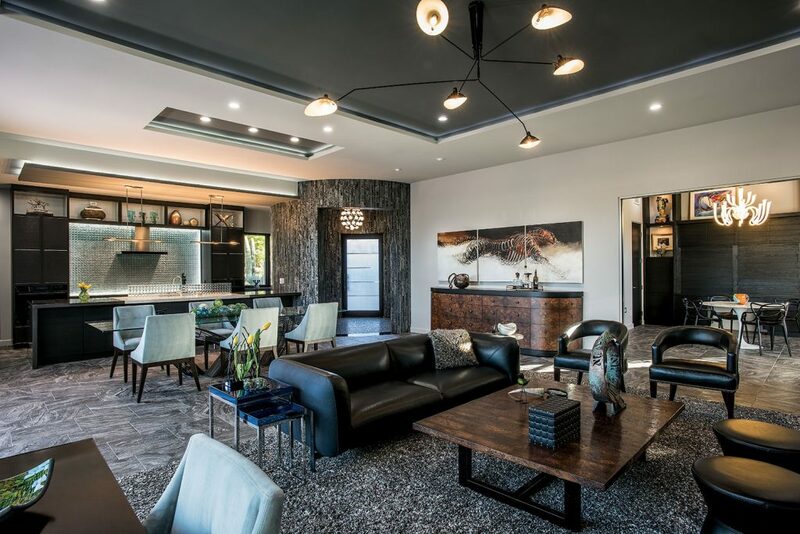 After buying, tearing down and rebuilding a McCormick Ranch residence, they were in the market for a new challenge, and found one in the Paradise Valley gated community of Colonia Miramonte. Built in the late 1960s, the midcentury modern ranch home was saddled with some of the unfortunate architectural hallmarks of the era, including low ceilings, and a boxy floor plan that ignored the lot’s No. 1 asset: bookending postcard panoramas of both Camelback and Mummy mountains. 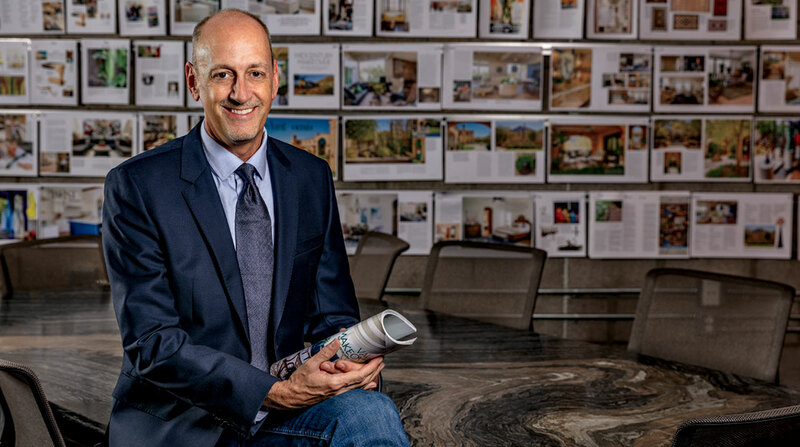 For the new owners, who divide their time between Arizona and a Pittsburgh condominium, Carson’s recommendation of razing the house and rebuilding on the existing pad was not as daunting as it might have been had they not already had one demolition under their belts. 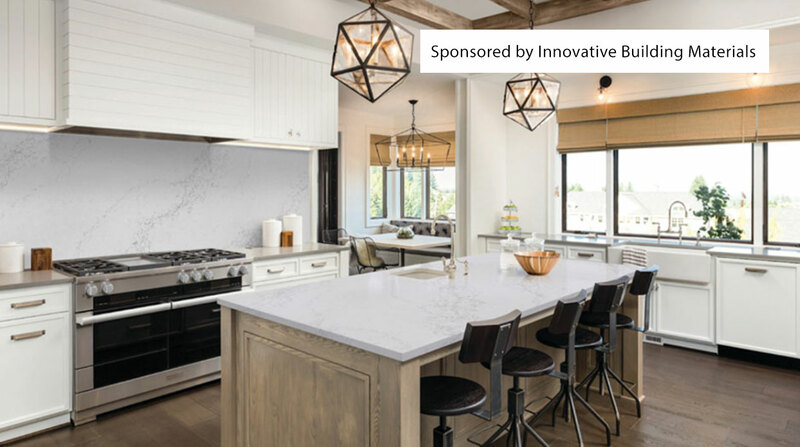 Beginning with the blank slate, Carson reorganized the footprint with an open floor plan that would best meet his clients’ needs. Although they live alone, they also love to entertain. What they envisioned was a contemporary home that would be comfortably spacious for two without feeling cavernous, but that could also accommodate as many as 75 guests when necessary. As avid art collectors, they also wanted a gallerylike setting for treasures they have collected over a lifetime together. 1. 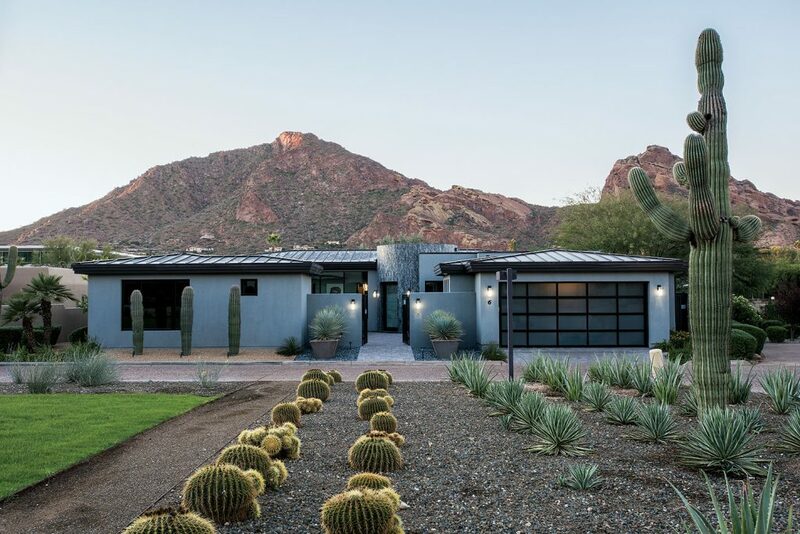 With Camelback Mountain as a backdrop, the front of the home faces a neatly landscaped common area shared with neighbors. 2. A fireplace in the front courtyard provides warmth and ambience on cool evenings. 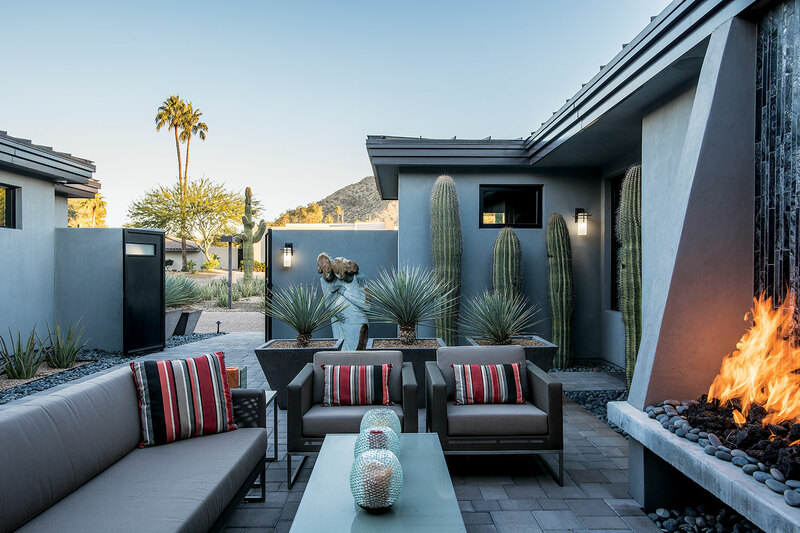 The desert flora flanking the wall of the guest casita—including a row of cardon cacti (Pachycereus Pringlei)—is clean-lined, reflecting the contemporary aesthetic of the house. The architect conceived an open floor plan that is anchored by a circular entry rotunda. “It is the center of the wheel from which everything fans out,” Carson explains. “The great room, dining area and open kitchen present themselves to you when you enter.” The husband’s office (which can easily convert to guest quarters with a dedicated powder room, if needed) adjoins the great room; the master suite and bath lie behind. 1. The courtyard gates open to reveal the stone-clad rotunda entry. 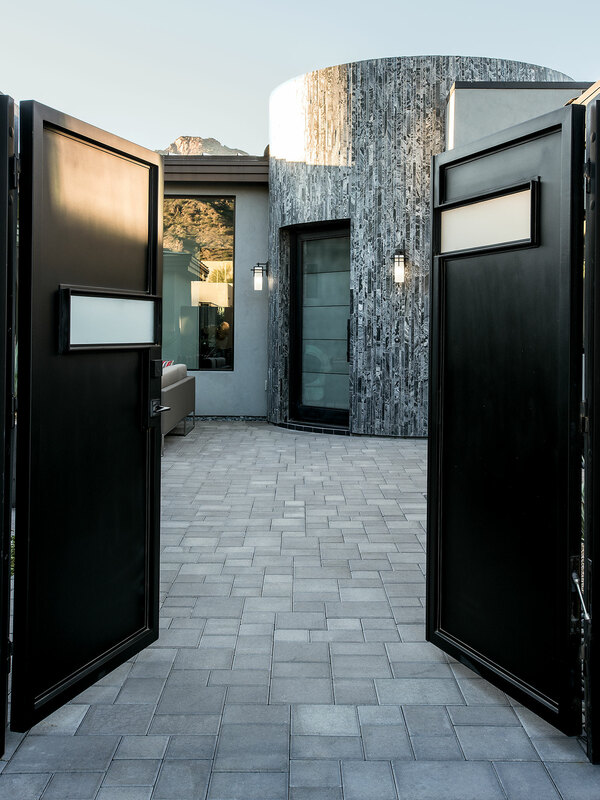 “The frosted glass front door creates a sense of anticipation, that something exciting is about to be revealed,” says architect Andrew Carson. 2. A glass top appears to float above the dining table’s rebar base, while a centerpiece of glass orbs captures colors found both indoors and out. 3. 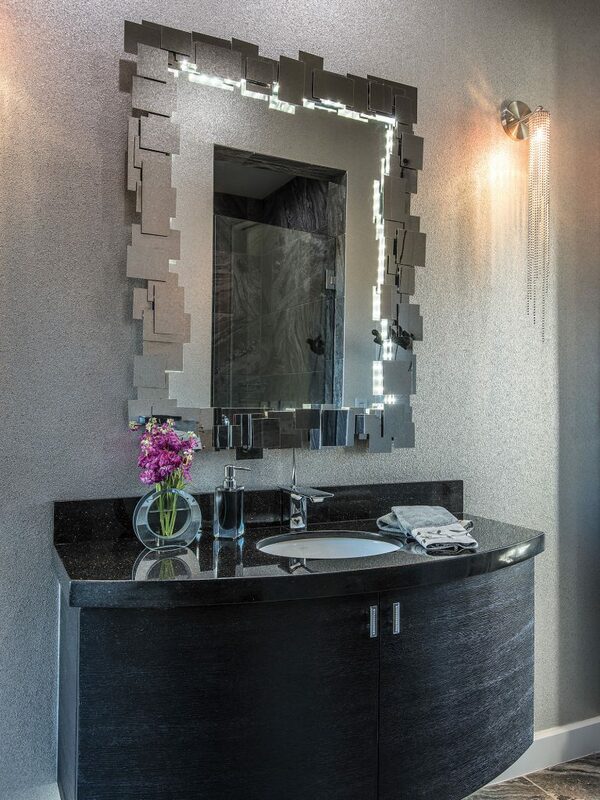 The powder room’s mirror was designed and built by the husband, who also enjoys making jewelry. The wallpaper, made of mica chips, softly shimmers, adding a luxe note to the small space. 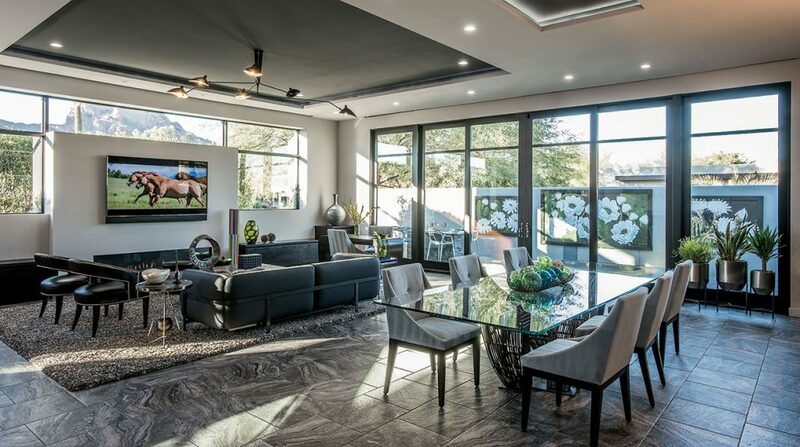 The home’s Camelback Mountain-facing southern side—which had previously consisted of closets from end to end—was reconfigured. The walls are framed on each side and along the top with large windows that welcome light and mountain views. 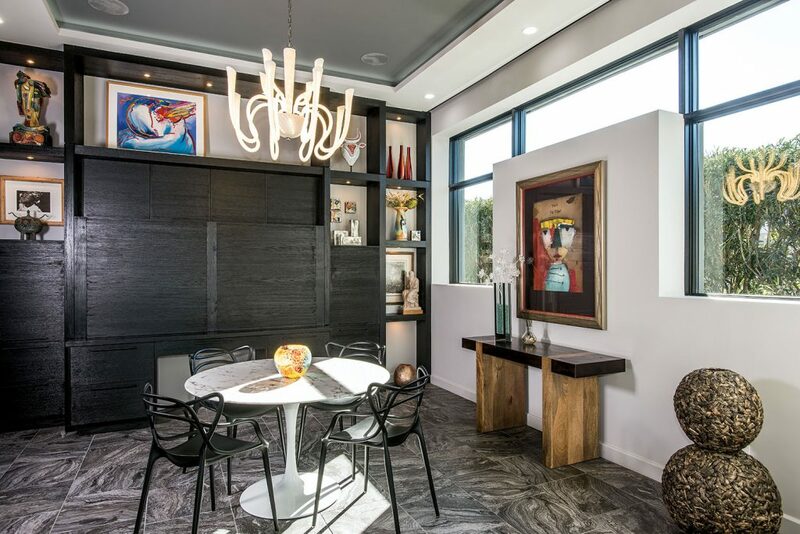 The solid vertical insets, which provide privacy and block the sight of passing cars, showcase artwork in the master bedroom and the husband’s office; in the great room, a linear fireplace topped by a wall-mounted flat-panel TV fills the space. On the outdoor patio, a water feature effectively blocks any sounds from traffic when the homeowners are enjoying dinner al fresco or when party guests are wandering indoors and out. 1. Beyond the circular entry, the open floor plan is spacious and bright. 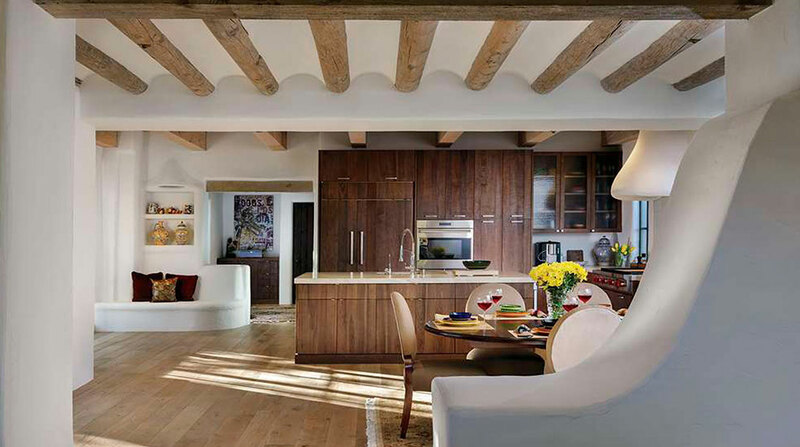 The kitchen, dining area and great room are defined by illuminated ceiling coves. To the right, the husband’s office can also serve as a guest room when needed. 2. 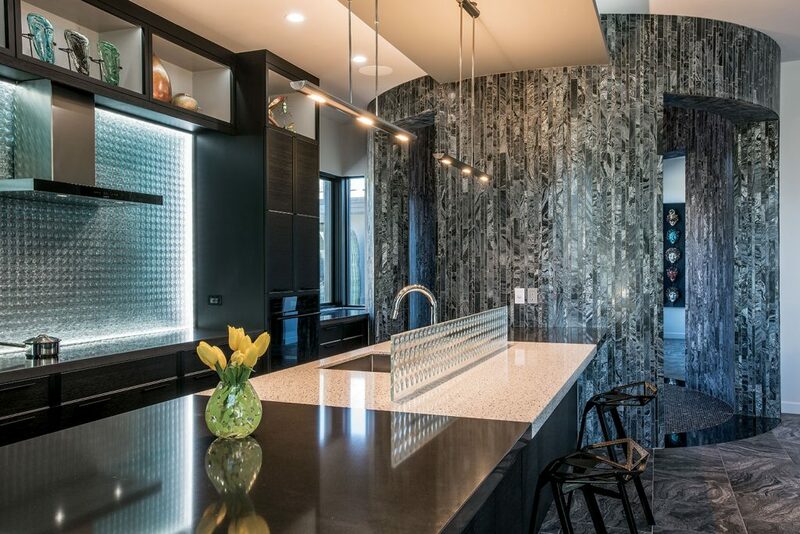 The kitchen island’s countertop comprises both black and white quartz. Behind the cooktop, the LED-lighted backsplash casts a gentle glow; its circular pattern echoes the shape of the rotunda. The matching rectangular glass island panel conceals the sink when the homeowners are entertaining. 3. Just off the great room, the husband’s office features motorized cabinetry that can be raised when he is working or lowered to conceal his desk when the couple have guests. Carson designed the walls of the home’s back elevation to provide privacy and also let in light and mountain views. The painting on the right, entitled “The Now,” is by artist Terri Hallman. 4. The side courtyard includes a water feature that effectively masks sounds from the street directly behind the house. The interior floor tile extends outdoors, creating a seamless transition. 5. 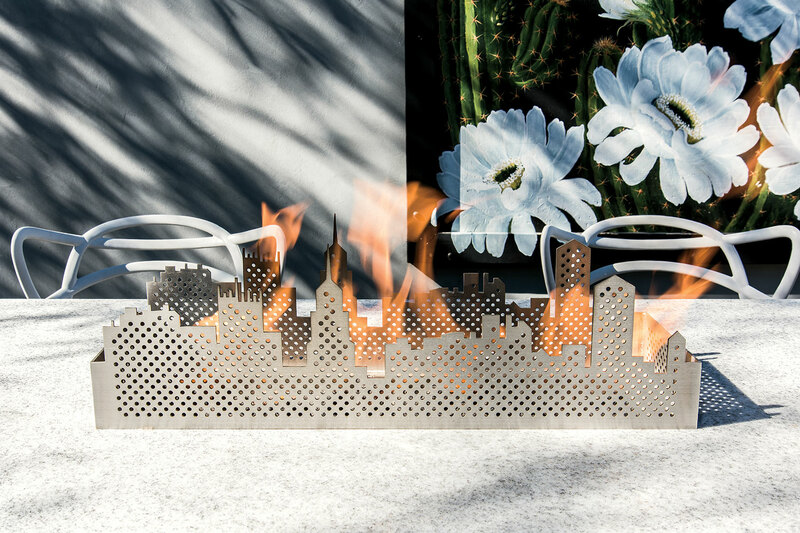 The dining table’s fire feature replicates the Pittsburgh skyline, where the couple own a condo. “It’s a little touch of home,” says the wife. A one-bedroom casita at the front of the residence provides privacy for overnight guests. It, along with the garage, enclose the intimate gated entry courtyard with a fireplace that warms the space when the weather turns chilly.